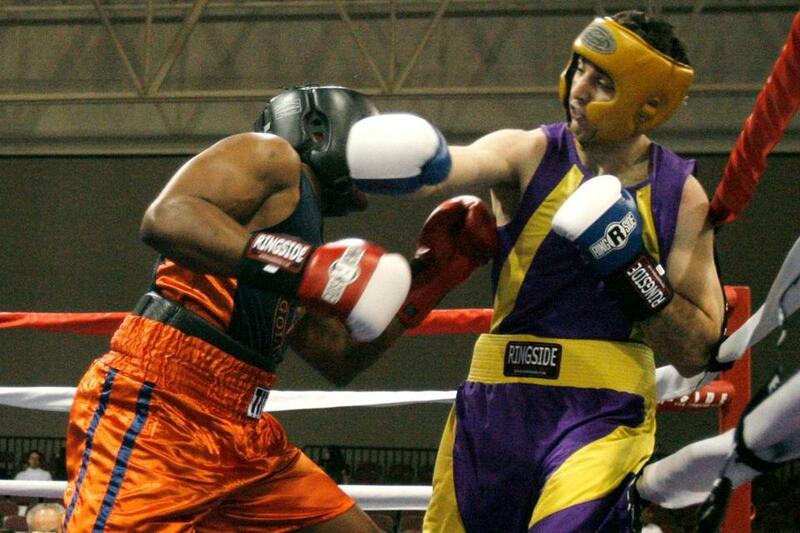 Tamerlan Tsarnaev (right) during a Golden Gloves boxing tournament. He made little money from his boxing pursuits. The older brother liked to look like a man of means, once posing for a photo in front of a gleaming Mercedes sporting a long wool scarf and white leather slip-on shoes. But Tamerlan Tsarnaev, 26, was a stay-at-home dad, relying on his wife to work long hours as a home health care aide to support the family. And the car? Tsarnaev most recently owned a 15-year-old Honda. Tsarnaev’s younger brother never seemed strapped for cash, according to people who knew him at the University of Massachusetts Dartmouth where he was a sophomore. But Dzhokhar Tsarnaev was a scholarship student who earned spending money by selling marijuana, say three people who bought drugs from the 19-year-old. Even the explosives they allegedly set off at the Boston Marathon a week ago turned out to be crude and inexpensive — likely built from ordinary kitchen pressure cookers, nails, and other household items from instructions available online. Each bomb may have cost less than $100. If the brothers had outside financial or technical support for their deadly attack on the Marathon, it certainly isn’t reflected in their lifestyle or their weapons. The picture that is emerging is more like terrorism on a budget, consistent with reports that Dzhokhar Tsarnaev told interrogators from his hospital bed that he and his brother acted alone. Such details are important because speculation has swirled for days about whether the brothers had any connection to foreign governments, outside terrorism groups, or underworld organizations such as the Russian mafia, who may be planning additional attacks on US soil. The older brother’s travel to Russia fueled speculation. But the Tsarnaevs’ terrorism operation, while deadly, bears little resemblance to the sophisticated 9/11 plot during which the hijackers spent an estimated $500,000 — mostly from Al Qaeda — for flight training, living expenses, and travel, including tickets for the planes they hijacked. Almost as soon as Tamerlan Tsarnaev was identified and killed in a dramatic shootout with law enforcement early Friday morning, reporters and amateur gumshoes unearthed an online photo gallery that appeared to capture a lavish lifestyle of a talented boxer living the American dream, making some wonder if he also had outside support. But his everyday life turned out to be much more ordinary, someone who was just trying to scrape by. The older brother lived with his wife and 3-year-old daughter in an apartment near Inman Square, a working-class neighborhood in Cambridge that has gradually become more gentrified over the years. A neighbor who asked not to be identified said the brothers paid “below market” rent for the apartment where their entire family had lived previously. Tamerlan Tsarnaev reportedly worked odd jobs and short-term positions, such as delivering pizzas, to help pay the bills. He reported to police that he was “unemployed” during a 2009 domestic violence arrest and listed himself as a “driver” on his marriage certificate when he got married a year later. Instead, he relied mainly on his wife, Katherine Russell, to be the primary breadwinner. Her lawyer, Amato DeLuca, told reporters that she often worked 70 to 80 hours a week, seven days a week, as a home health care aide, a sometimes grueling job that typically pays around $12.50 per hour in the Boston area, according to Department of Labor data. “She has been living in Cambridge, raising her child, and working long hours, caring for people in their homes who are unable to care for themselves,’’ DeLuca and his partners said in a statement Tuesday, adding that Russell and her family were still struggling to come to terms with her husband’s death and the accusations that he was involved in the bombing. The older Tsarnaev did excel as an amateur boxer. He competed in the national Golden Gloves tournament in Salt Lake City in 2009 and was New England’s Golden Gloves heavyweight champ in 2010. But he made little, if any, money from his efforts. “There is no money,” in amateur boxing, said John Allan, owner of Wai Kru Mixed Martial Arts in Allston, who saw Tamerlan Tsarnaev compete and considered him the best boxer in the city, in an interview last week. Tamerlan Tsarnaev owned a black Mercedes C230 at one time — but it was a 1998 model likely worth only a few thousand dollars today. When he died last week, he only owned one car — a 1999 Honda CRV, according to motor vehicle records. Indeed, Tamerlan Tsarnaev and his family had so little income that they even qualified for state assistance until 2012, state health and human services spokesman Alec Loftus said Tuesday. Both brothers also received benefits through their parents when they were younger. The welfare benefits were first reported by the Boston Herald. 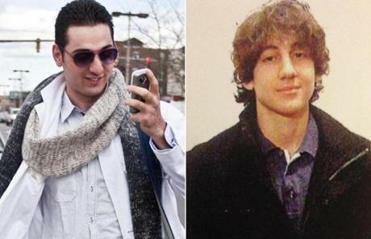 His younger brother, Dzhokhar Tsarnaev, always seemed to have money for food and other everyday expenses. “He lived a good life, I guess,” said Jason Rowe, his former roommate at UMass Dartmouth. But Dzhokhar Tsarnaev didn’t live a particularly lavish lifestyle. He drove his father’s green 1999 Honda Civic. And while UMass Dartmouth costs more than $22,000 a year, including room and board, many students receive significant student loans and other financial aid. UMass declined to give details on Tsarnaev’s aid package, but he received at least one scholarship — $2,500 from the city of Cambridge, where he went to high school. Several fellow students reported he earned at least some cash selling marijuana — at least the portion he didn’t smoke himself. “There was a permanent stench of marijuana in his room,” said one person who asked not to be named. He also had a mysterious side enterprise involving repairing damaged cars. Dzhokhar Tsarnaev regularly brought cars to Junior’s Auto Body, a well-worn shop on the Cambridge-Somerville line, on a road lined with scrap metal and auto repair garages. Why a 19-year-old college student was bringing cars in for work for people he said were friends remains unclear, though his father had worked as a garage mechanic before he returned to the family’s native Russia. The shop owner, Gilberto Junior, said Dzhokhar Tsarnaev sometimes accompanied friends to the shop, riding in the passenger’s seat. Often, the friends told Junior they were students at MIT, he said. The repair jobs were small, and it’s not clear whether Dzhokhar Tsarnaev received a commission. “I don’t think he ever brought any friends in here that spent more than $500,’’ Junior said. He was never under the impression that Tsarnaev had much money. But Junior said Dzhokhar Tsarnaev did have a dream: He wanted to buy a new car once he graduated from school. Globe correspondent Leanne Poirier contributed to this report. Todd Wallack can be reached at twallack@globe.com. Beth Healy can be reached at bhealy@globe.com.